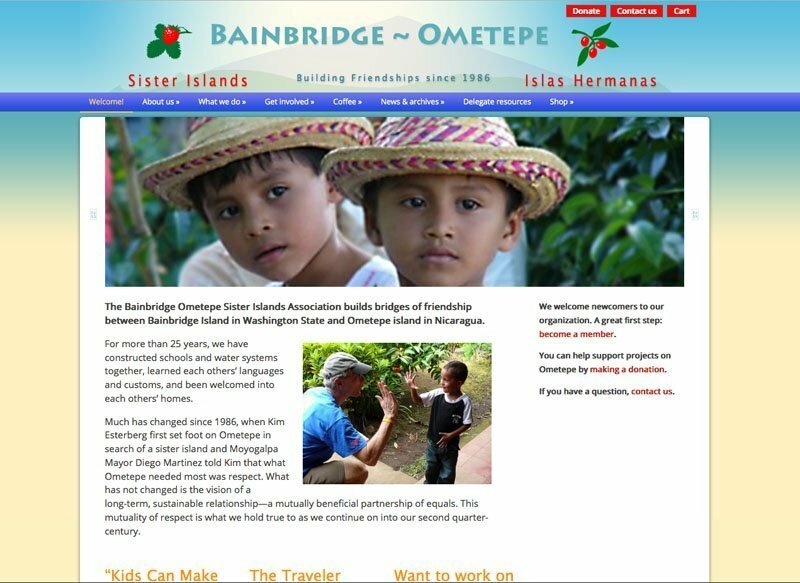 The Bainbridge Ometepe Sister Islands Association builds bridges of friendship between Bainbridge Island in Washington State and Ometepe island in Nicaragua. For more than 25 years, they have constructed schools and water systems together, and learned each others’ languages and customs. 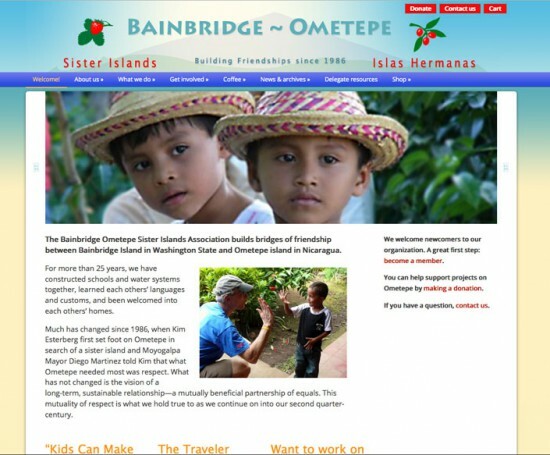 Design and build a site honoring both islands. The site should be maintainable by organization volunteers, offer a store to sell coffee and collect donations to help support the mission. The site was built redesigning existing graphics to use as a header. Colors were chosen to convey the water surrounding the islands and the brightness of the endeavor. A store to sell coffee was initiated. In early 2014, the site was rebuilt to work equally well on mobile devices.